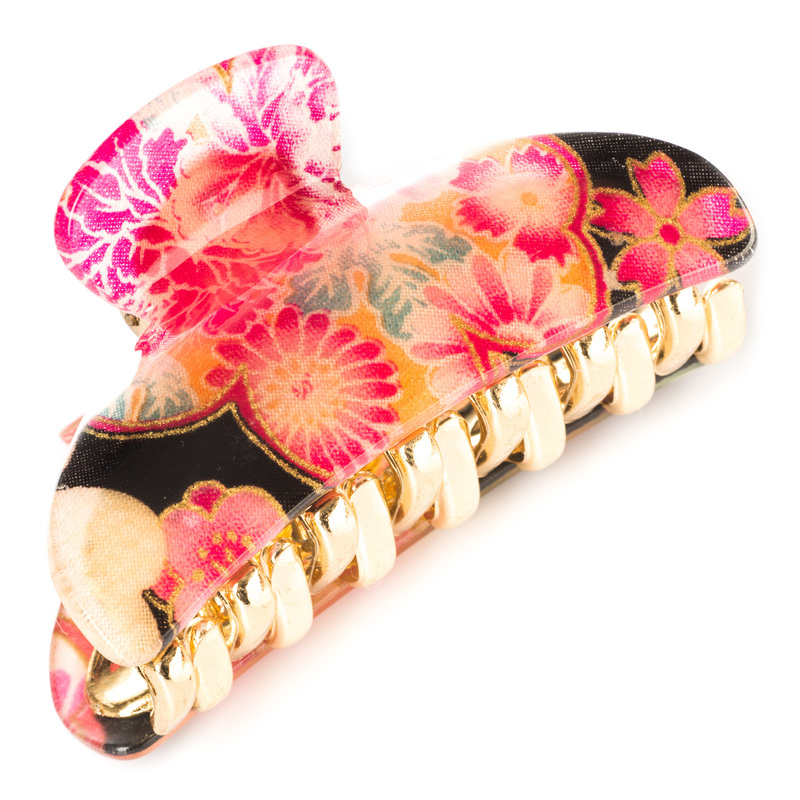 The Black Cherry Blossom Japanese Hair Claw is a vibrant Japanese hair clip which fuses fashion with function and is perfect for new season styling! An authentic Japanese hair claw made from acrylic with a very pretty black and red kimono fabric style floral pattern and a strong gold coloured claw. 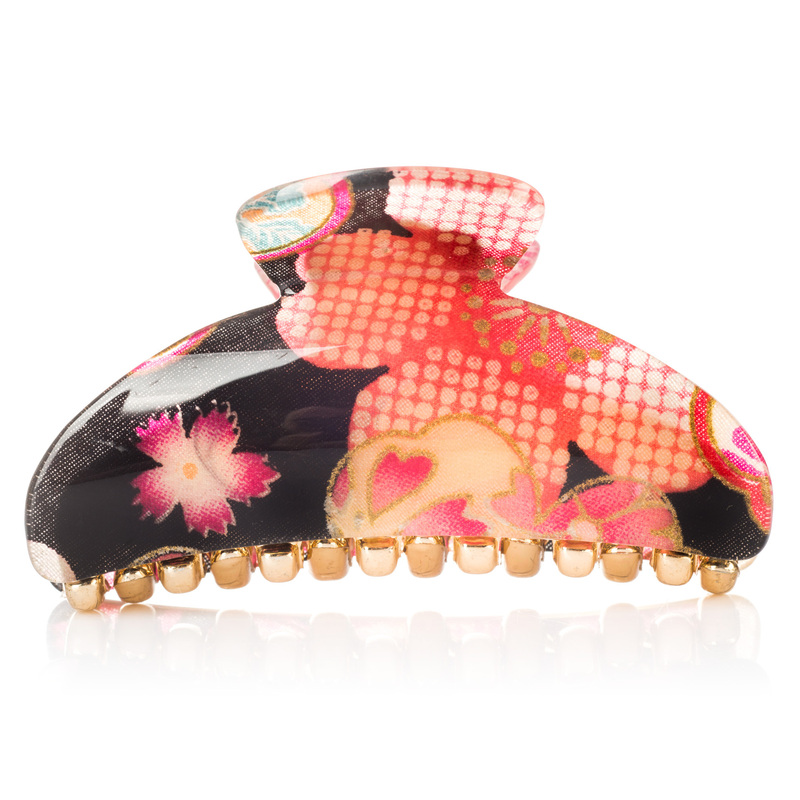 Made in Japan and exclusive to The Japanese Shop, the Black Cherry Blossom Japanese Hair Claw is a perfect little Japanese gift for you girls to create that authentic Japanese look! Colours and designs do vary slightly. 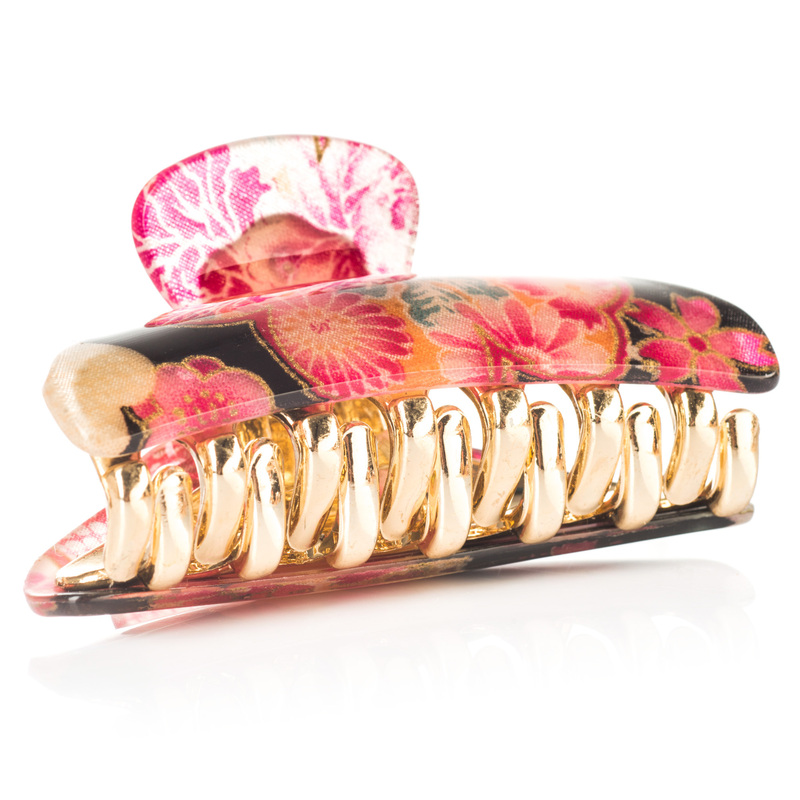 Buy your Black Cherry Blossom Japanese Hair Claw online today and have it gift wrapped free of charge or visit our showroom for this and more traditional Japanese hair accessories!